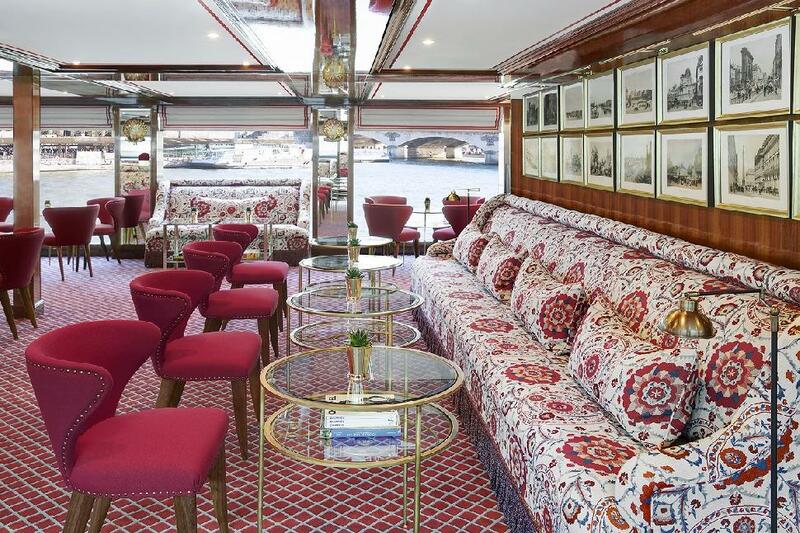 With the Champagne on ice, the linens freshly ironed and the brass polished to a gleam, we boarded Uniworld’s latest river cruise jewel Joie de Vivre where else but in Paris, the city that embodies that exultant phrase. 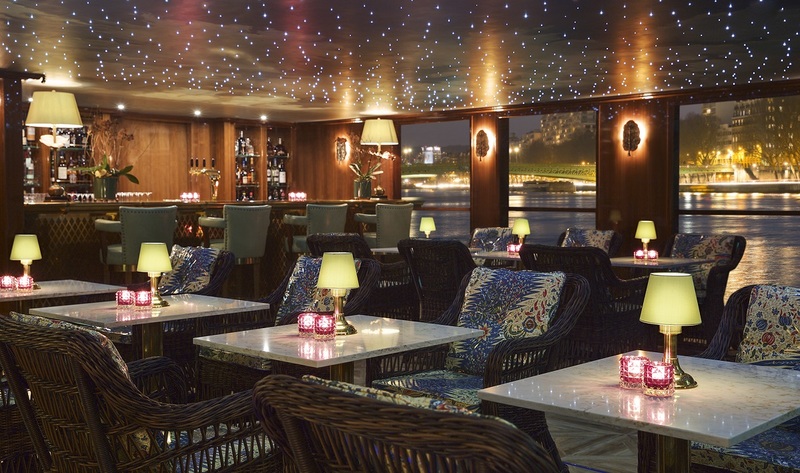 One of river cruising’s most luxurious lines, the Uniworld Boutique River Cruise Collection has a 40-year history. It truly hit its stride in the years, however, in the years since 2004, after being acquired by The Travel Corporation, a four-generation global family business built by Stanley and Beatrice Tollman from humble beginnings with a hotel and restaurant in South Africa. Beatrice, a chef, cookbook author, interior designer and hotelier, is the remarkable muse behind Uniworld, which offers itineraries throughout Europe, Russia, Egypt, and Asia. The European fleet features luxurious ships with an average capacity of 130 guests, the highest staff-to-guest ratio in the industry, enticing shore excursions, truly gourmet cuisine, fine wines and spirits and impeccable service – all included. Travel is made up of moments and the ones that truly touch you are the ones you remember and retell - the ones that stay with you. The Uniworld experience is filled with them. There are moments such as a butler bringing you a glass of superb wine as you sit in your stateroom, window fully lowered, sun streaming in, with the pastoral French countryside passing by. More moments to remember…a mouthful of buttery caviar washed down with a glass of Bollinger…gazing onto Rouen’s Notre Dame Cathedral from the very room where Monet painted it, while I stand at an easel, being gently guided in my clumsy attempt at an impressionistic watercolor… sharing the emotional weight of the beaches of Normandy with fellow guests– many of whom lost relatives in the liberation effort. Those of us on a pre-inaugural journey succumbed to the charms of the Joie de Vivre - we are only human, after all. 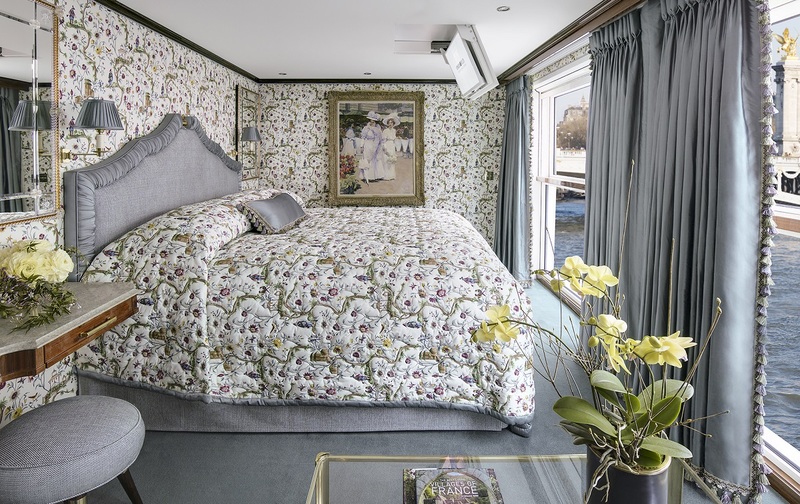 Each river ship boasts distinct décor, elevated by original artwork and authentic antiques – many of them hand-chosen by Beatrice herself, but it is the bed in each stateroom that best encapsulates Uniworld’s single-minded passion for delivering luxury. The handcrafted Savoir of England beds cost $25,000 apiece. They’re topped with 100 percent Egyptian cotton linens and there are six choices of pillow style. An onboard fitness center on each ship means guests can take wellness seriously with full-time onboard instructors who lead exercise and wellness classes. 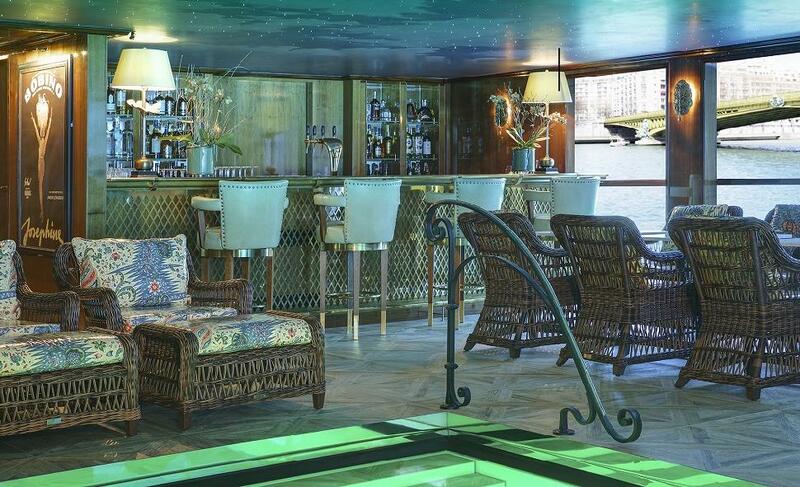 Ultimately this superlative river cruise experience is characterized by superior quality and the genuine desire of staff members to deliver memorable ‘moments’ to their guests. For me, those ‘moments’ were provided by people like Martin at the front desk who accompanied me into town without hesitation when I asked about the nearest ATM; by our doting waiters who truly could not do enough to please; and by the amazingly knowledgeable tour guides who brought ancient buildings to life. For a time, Uniworld’s newest vessel carried us blissfully away from the stress of work and the troubles of the world, and allowed us to revel in the joy of living – or as the French say, le Joie de Vivre. Originally published in Cruise & Travel Lifestyles Fall/Winter 2017 issue.